Sleep is good! I absolutely love to sleep. Nearly every person I know loves to sleep, too. On most days, my first thoughts upon waking up in the morning involves a quick set of calculations to determine just how quickly I can return to bed to resume sleeping again. While these numbers have declined in recent years, the costs associated with these crashes are still likely to be measured in billions of dollars in damages each year. These statistics are startling, but they only tell part of the story. Impaired reaction time, judgment and vision. Problems with information processing, short- and long-term memory and logical reasoning. Decreased cognitive performance, vigilance and motivation. Increased moodiness, aggressive behaviors and risk-taking. 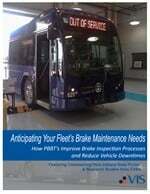 What does this mean for the professional bus operator? 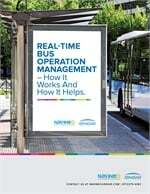 An operator’s ability to identify hazards, assess the associated risk and respond in the safest possible manner at the appropriate time is critical to safe bus operation. Therefore, the slower reaction time, increased difficulties in logical reasoning, and greater susceptibility to ignore or accept risk that results when we are sleepy may combine to make a challenging job even more so. Vigilance represents an important executive function that impacts our ability to sustain focus and concentration on specific tasks that must be performed frequently throughout the day, such as scanning, checking mirrorsand forward planning. In general, tired operators are more likely to drift from their lanes, tailgate, miss traffic signals, brake hard/stop abruptly, or become more easily distracted. In extreme cases, the body’s intense physiological need for sleep can make it nearly impossible to keep your head up, your eyes open, and your thoughts from wandering 4. If you notice an increased tendency to daydream, it could be an indication that you aren’t getting sufficient rest. If that isn’t enough, a poor night’s rest makes us cranky and can affect our mood in ways that may leave us more susceptible for potential conflicts with passengers. Simply put, our brains need adequate sleep each night to function properly. As we sleep, hormones are released that make proteins and other raw materials available for repair of our damaged neurons and to maintain healthy brain tissue. This maintenance is required to keep our brains working at optimal levels. Each night our brains use the sleep cycle to consolidate the day’s learnings into functional knowledge that helps us perform well at our jobs and tend to our daily responsibilities. As a result, we stand to gain the most benefit from our on-the-job experiences when we get sufficient rest. Despite all the pro’s and con’s, estimates suggest that over 70% of adults fail to get sufficient sleep. So, this begs the question: If we all love to sleep and are willing to accept that sleep is important, why aren’t we getting enough? For one thing, we don’t treat sleep as a daily priority. When we get busy or "stressed out" by our work, family or personal obligations — one of the first things we are willing to sacrifice is our sleep. How many of us have "borrowed" the time we should spend on sleeping in an effort to extend our day, so we can get more done? On the surface, this makes practical sense, especially to our fatigued brains. Yet over time, what starts innocently enough as a short-term coping mechanism soon becomes a consistent behavior that quickly turns into a daily habit. When this happens, we end up with a new problem called "sleep debt." Eventually, as with any debt, those that seek to collect eventually arrive to settle the account. When the sleep debt collectors (SDC) arrive — they are ruthless. The SDC calls upon a potent combination of hormones and chemicals that can force the body to rest, regardless of what tasks need to be done or what functions the brain is already engaged in doing — this includes driving a bus. A further complication is that despite all we have learned through research, there is no exact formula for calculating the amount of sleep we need to function at our best. Instead, we have guidelines suggesting that we monitor our energy levels and abilities to concentrate throughout the day as a means of gauging whether we slept enough the previous night. We may consider that we are getting enough sleep if we can perform our daily duties without feeling the need for coffee, naps or other energy supplements. Most data suggests that adults between the ages of 26 to 64 years of age should sleep somewhere between seven and nine hours each night. Some need more, some can function effectively with less. We also have to consider the quality of sleep that we are getting as well as the quantity. This is why the actual sleep requirements tend to vary from person to person. There are any number of things that can impact the quality of our sleep and they have to do with our daily routine, our environment, our current situation, etc. In general, there are specific things you can do to improve the quality of your sleep 5. Maintain a regular sleep-wake schedule (aka consistent end of day/bedtime). Avoid caffeine, alcohol, nicotine and other chemicals that interfere with sleep. Make your bedroom a comfortable sleep environment (cool, dark, quiet). 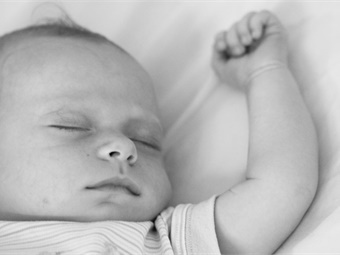 Establish a calming pre-sleep routine (i.e. hot bath, meditation, soft music, white noise). Go to bed when you're truly tired. Refrain from watching the clock at night (may elevate stress if you are having difficulty nodding off). Shut down your screens (TV’s, tablets, smart phones, computers a few hours before bedtime). Do not take a nap too close to your regular bedtime (short naps during the day are OK). Eat and drink enough to avoid getting hungry or thirsty — but not too much or too soon before bedtime. Exercise regularly — but not too soon before bedtime. These are only suggestions to promote what sleep doctors refer to as “sleep hygiene.” You may not have to do all of these things each and every night to improve the quality of your sleep, so try adopting some of these recommendations for a period of time and use what works best for you. Stress is a common sleep inhibitor as many people end each day with a restless mind — racing with worry and concern for all of life’s problems that must be dealt with in the morning. Behavior experts suggest one way to combat this "worry" loop is to end each day with a mental focus on all of the good things that happened during the day. An act of kindness that you extended to someone, a compliment you may have received from a passenger, recognition from a colleague or supervisor regarding your job performance, or anything that makes you feel good about yourself will reduce your stress and help you to relax. Despite all of the things you can control to improve both the quality and quantity of sleep, you still might not be getting the amount of rest you need to function at your best. A word of caution: Despite their popularity, sleeping aids (and related remedies) are not recommended. Sleep aids won’t offer the help you need if you suffer from an undiagnosed sleeping disorder. You will be much better off seeking medical attention, if you experience persistent difficulties sleeping. My wife has struggled with chronic fatigue for years, so she has tried everything. Several months ago, she developed the personal discipline to practice good sleep hygiene consistently day-after-day, including most weekends. Unfortunately, despite strict devotion to her new routine, she continued to have struggles sleeping through the night — waking up each day feeling exhausted and more desperate for help. This ultimately led to a doctor’s visit and a trip to a sleeping disorders clinic for a sleep study where she was expertly diagnosed with sleep apnea. Obstructive sleep apnea is often treated with a device that provides continuous positive airway pressure commonly known as a C-PAP device. Many insurance companies now include treatment of positive airway pressure in their coverage plans 6. In addition to sleep apnea, there are a host of common sleep disorders — such as insomnia, bruxism, restless leg syndrome and narcolepsy to name a few — that require diagnosis and treatment by a qualified physician. We must also be aware that certain medications7 and food sensitivities 8 can also impact our sleep and energy levels. 1) Where there is time and space, take a short nap. Dr. John Medina describes how our brains have a natural tendency towards lethargy each afternoon and how a short nap can help improve focus and reaction times for the remainder of the day(9). Past U.S. Presidents, Thomas Edison and Albert Einstein maintained their nimble minds by napping. 2) Give yourself a “time out.” A “time out” serves a similar role for promoting healthy responses in adults as it does in rearing well-behaved children — it provides a break from emotional stress. An effective “time out” for adults involves setting aside 10 to 15 minutes each day so we can go someplace for calm and quiet. This requires us to completely unplug from our beloved hand-held devices, close our eyes and maintain focus on our breathing — in and out, in and out. These moments of calm give our brains a chance to reset akin to rebooting a computer. The modern world generates a lot of noise that our brains are forced to process on a near-constant basis. Silence, therefore, is indeed golden. 3) Exercise. Exercise helps us in a variety of ways by boosting our metabolism, improving our brain function, and increasing our energy levels. Regular exercise promotes vascular health and improves the quality of our sleep. Whole books have been written on the benefits of exercise on brain function. 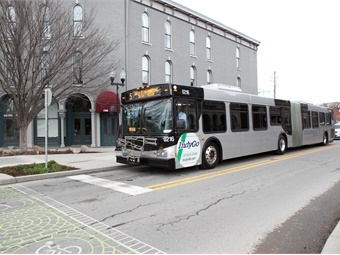 Fortunately, most transit properties now offer comfortable break rooms and well-equipped exercise facilities that employees can use to promote good health and well-being. Utilizing break rooms and/or other company resources. I suppose this blog offers tremendous potential for putting you to sleep based on length alone. In that case, sleep well my friends.